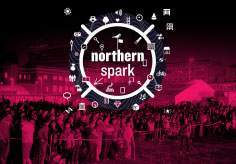 The Lowertown Line: Cloud Cult, Minneapolis Convention Center, Northern Spark 2015. 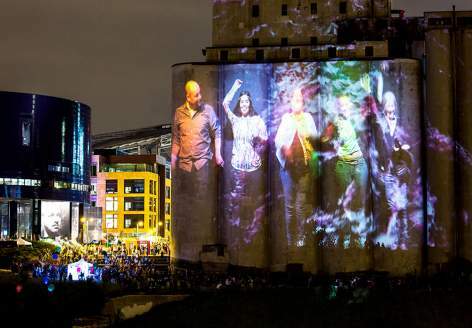 Luke Savisky, E/x MN, Mill Ruins Park and Gold Medal Silos, Northern Spark 2015. 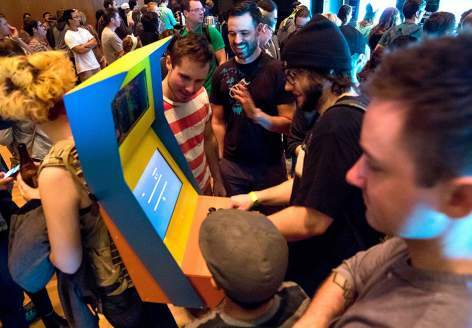 UCLA Game Lab, Game Bar, Orchestra Hall, Target Atrium, Northern Spark 2015. 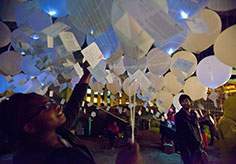 Peavy Plaza, Northern Spark 2015. 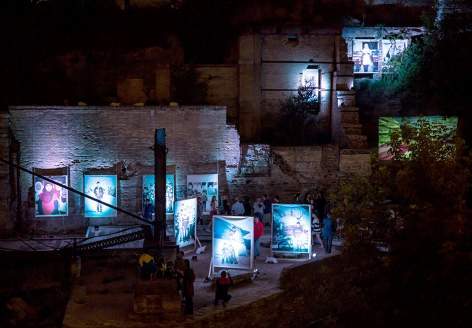 Osama Esid, Still/Life/Syria, Mill Ruins Park, Northern Spark 2015. MakeSh!t, Public Acts of Drawing, Northern Spark 2014. 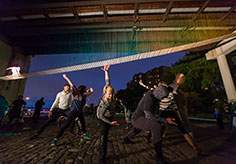 Amanda Lovelee, Christopher Field, Kyle Waites, and Sarah West, Balancing Ground, Northern Spark 2014. 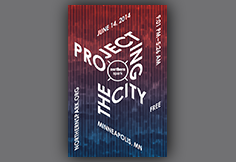 MINN_LAB, POSTography, Northern Spark 2014. 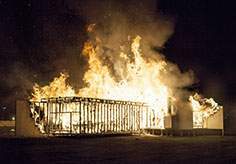 HOTTEA, La Maroma, Northern Spark 2014. 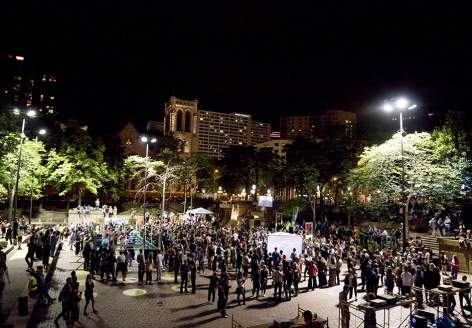 Chris Larson, Celebration/Love/Loss, Northern Spark 2013. 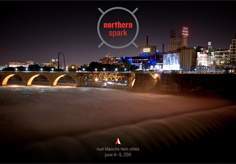 Michael Murnane, Under Ice, Northern Spark 2012. 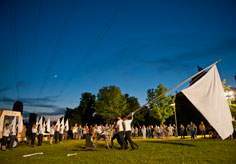 Keetra Dean Dixon, Swing Hall, Swing All, Northern Spark 2012. 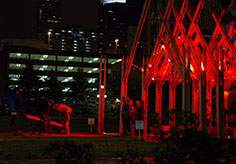 Piotr Szyhalski, Empty Words (so that we can do our living), Northern Spark 2011. 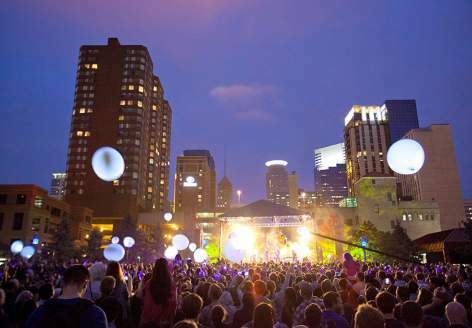 Prepare for the free public art festival on June 15 and 16 in downtown Minneapolis by planning must-see art, transportation, where to eat, and more! 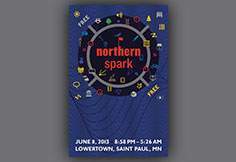 Northern Lights.mn announces Northern Spark’s 8th annual benefit party on Saturday, June 16 in The Rooftop Lounge at Le Meridien Chambers Hotel. 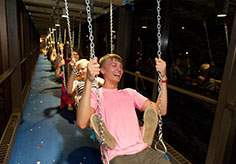 The participatory art installation 'Carry-on Homes' by Peng Wu, Zoe Cinel, Shunjie Yong, Preston Drum and Aki Shibata won the 2018 Creative City Challenge. 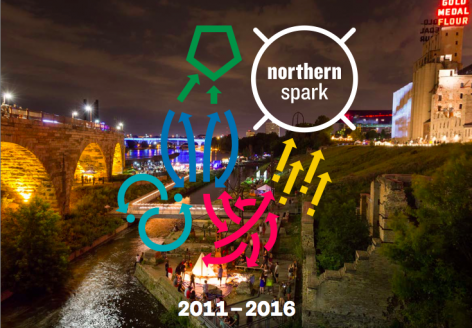 Northern Spark, has announced that its 2016 and 2017 festivals will focus on Earth’s changing environment. 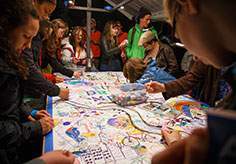 The dusk till dawn art festival’s 7th year inspired attendees in 7 neighborhoods along Metro Transit’s Green Line to change their perceptions about climate change through interactive art projects. Opening Ceremony and concert begins at the Minneapolis Convention Center Plaza with Creative City Challenge winner Wolf & Moose. 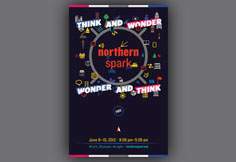 With 7 sites to travel between, we recommend planning your Northern Spark experience. 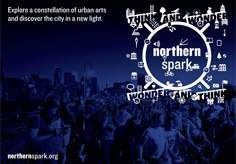 Mayor Hodges with the Creative City Challenge winner and performers launch Northern Spark 2017 in Minneapolis’ The Commons park on June 10 at 8:30 pm. 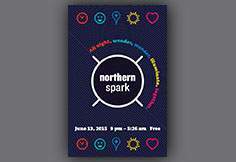 Northern Spark’s 7th year kicks off with the Launch Party from 7 – 9 pm on Saturday, June 10 at Thresher Square. 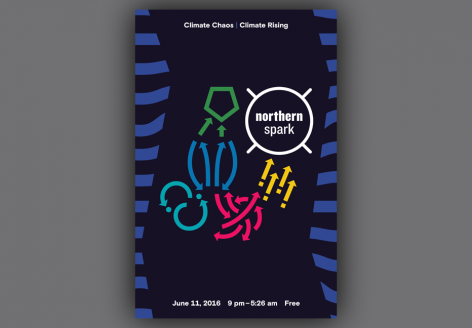 The first Northern Spark Program Council, a leadership group of artists, inspires participation from community members to present projects that respond to climate change themes. 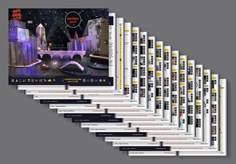 On Tuesday, May 24th at 6pm, you’re invited to join us at The Soap Factory for a preview of the festival. 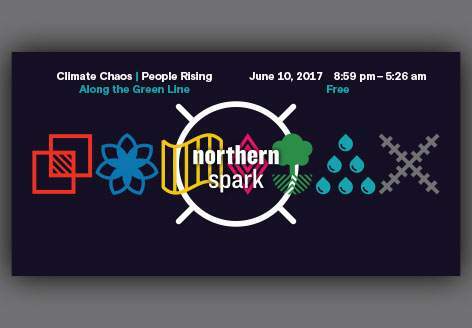 To kick off Northern Spark 2017, Northern Lights.mn and Metro Transit have partnered to commission a spectacular full-color train wrap created by artist Andrea Carlson. 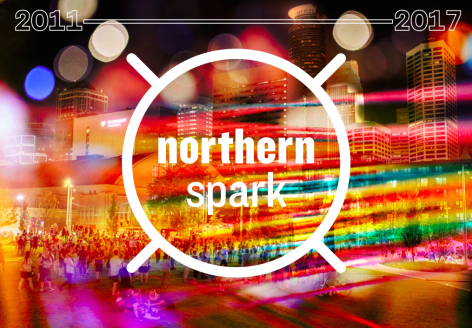 Join us for the sixth year of Northern Spark! 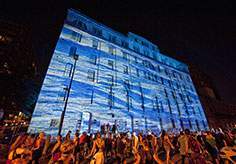 Bringing art to the streets of Minneapolis all night, from 9:00 PM – 5:26 AM.